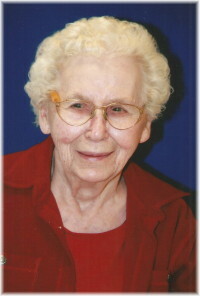 Elsie Helen Zdrill passed away on Wednesday, September 19, 2018 at Kin Place in Oakbank at the age of 92. She was predeceased by her husband Charlie, son Brian, her parents John and Annie, brothers William, Stanley and Steve, sisters Nellie, Mary, Teenie and Helen. She leaves to mourn her passing her children: Richard (Cindy), Bonny (Kenneth), Rodney, and Kelly (Michelle), grandchildren Brent (Melissa), Trevyn, Aaron, Lee and great grandson Frank. She is also survived by her sister Margaret (Willy) Balagus as well as many nieces and nephews. Many thanks to the staff at Kin Place for their exceptional care and compassion. A Funeral Service will be held at 3:30 p.m. on Saturday, September 22 at Sobering Funeral Chapel, 1035 Park Avenue E., Beausejour with interment in Holy Trinity Ukrainian Catholic Cemetery in the R.M. of Brokenhead. Auntie Elsie, we will miss your smile, your sense of humour and above all your wonderful cooking! We have many happy memories of you in the kitchen on lisgar where you were always busy cooking up a storm for the family! We were indeed blessed to be a part of it all and will always cherish the memories. To our family and extended family we offer our deepest condolences as well as our love, thoughts and prayers.